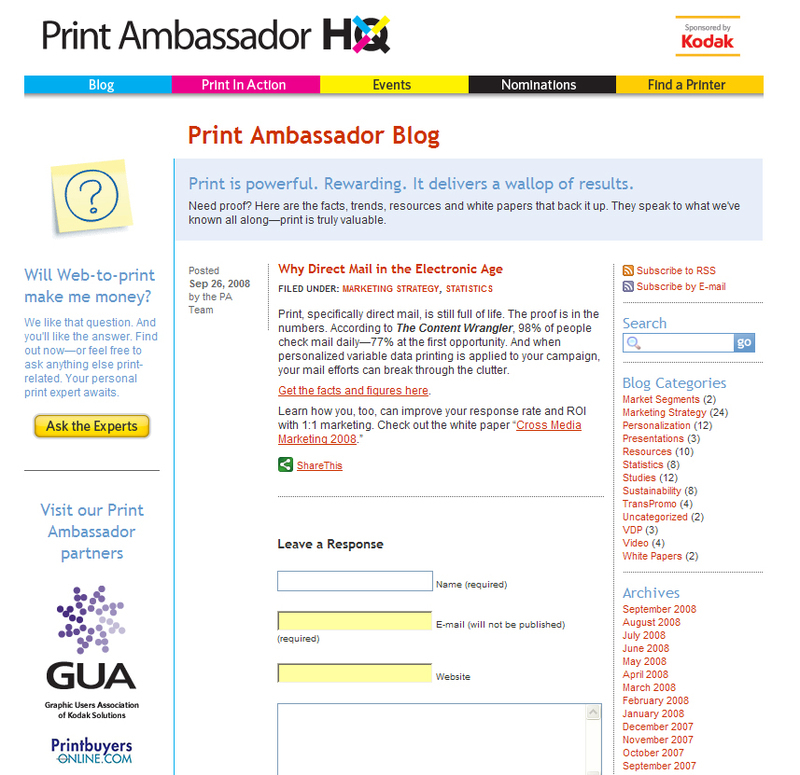 Print Ambassador, sponsored by Kodak, recently reposted "Cross Media Marketing 2008" a white paper previously featured by this blog. Click on the image below to view the post. Over 40 different data points are instantly available about your prospect. 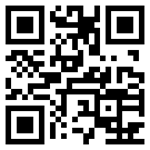 This information is easy to read and can be quickly reviewed while the prospect is in house. The contact is automatically saved for further follow up from your sales staff. Modeledcreditscore.com gives fi rms the ability to prequalify prospects instantly with only the First Name, Last Name, Zip Code, or Phone Number. Signed credit report applications are not required. All information is derived from public records which have been utilized for years. Permission of the prospect is not required to access public domain records. With Modeledcreditscore.com’s on-line interface, instantly receive over 40 data points. What’s new is our ability to grant you access to this valuable data in real time on the internet without a large capital investment or complex P.O.S. system. Any B2C sales organization can capture valuable prospect information and create an actionable lead list. Most vehicle retailers already capture their prospects name, address and phone number. Using Modeledcreditscore.com, the dealer will be able to customize the sales process to best fi t the customer. Are they a lease or buy here pay here? Now you can know. The credit bureaus will sell the names of anyone who has a credit check done by a mortgage company. Modeledcreditscore.com allows the loan offi cer to better understand their potential client before they alert the competition that their prospect is interested in applying for a mortgage or refi nancing. Many of our home improvement clients spend a fortune on leads. The solution: Pre-qualify the prospect before making an expensive sales call. The cost of gas and sales time has risen too high not to take advantage of as much information as possible in advance. New to PURLs and Variable Data Printing? Watch this brief introduction and see how PURLs (personalized URLs) are used in cutting edge marketing campaigns that drive trackable ROI. 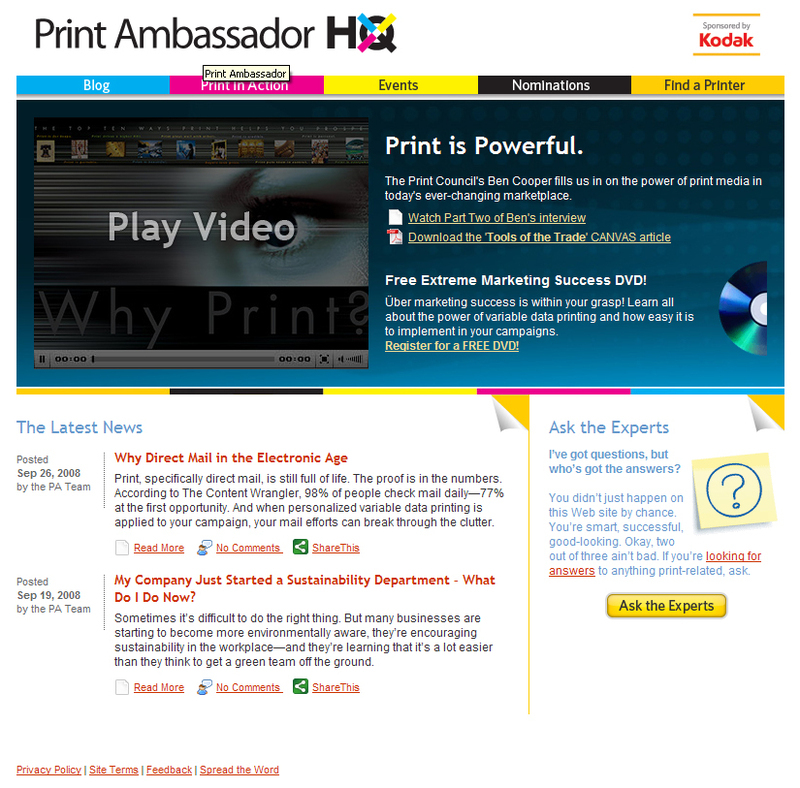 VDP Complete's campaign for Caterpillar was selected by the USPS and Kodak to be featured in a video presentation entitled "Direct Marketing Practices that Deliver." This 6 minute segment details how Caterpillar was able to effectively employ a 1:1 cross media marketing campaign and track ROI.